Hives is a skin condition described as a sudden outbreak of red, swollen, bumps, or itchy welts on the skin. Also known as urticaria, hives rash are often caused by an allergic reaction to certain substances that you swallowed or encountered. Because of the allergic reaction, the body releases histamine, which causes redness, swelling, itching, and other symptoms. Some of the common triggers include nuts, fresh berries, eggs, tomatoes, and fish. If you have hives, it is likely that you cannot help but try to scratch yourself from time to time even though you know that scratching can be bad for your skin. In some cases, hives rash may occur when you are exposed to the sun for extended periods of time or when the skin is exposed to freezing water. The welts may also appear due to stress and exercise. It can also be caused by alcohol, pollen, latex, food additives, chemicals, medications, pet dander, and insect bites. Types of Hives and How Long do Hives Last? Allergies – An allergic reaction is the most common cause of hives. The common allergens include insect bites and stings, some foods and medicines, pollen or latex etc. Hives caused by allergies usually appear just a few minutes after you contact the allergen. Stress – Stress can affect the function of your body’s immune system. When you experience long-term stress, your body will release histamine and lead to red rashes on the skin. Infections – Sometimes, colds and infections caused by bacteria or fungi can also lead to hives on the skin. Illnesses– Some illnesses such as vasculitis, lupus, and thyroid disease can also be the reason for hives. Other factors-Too hot, too cold, skin pressure, scratching the skin or exposure to chemicals or sun can also cause hives breakout. Acute urticaria: The most common causes of acute hives are medications, insect stings, infections, cold, blood transfusions and certain foods. These foods include nuts, fresh berries, milk, chocolate, shellfish, tomatoes, and eggs. In addition, some food additives and preservatives may also cause this condition. Medications that may cause hives include aspirin, codeine, ibuprofen and certain high blood pressure drugs. Acute hives usually last for six weeks or less. The hives will disappear after the reason is removed. Chronic urticaria: Although the cause of chronic hives has not been identified, chronic urticaria has been associated with proteins, allergy cell, hepatitis and other autoimmune conditions such as thyroid disease. Many people worry about this symptom, but many studies have confirmed that cancer is not the cause of chronic urticaria. The common symptoms of chronic urticaria include vomiting, diarrhea, muscle soreness and shortness of breath. This condition usually lasts for more than six weeks. The majority of hives may last for a few minutes and don’t last longer than 24 hours. However, some hives may last for several hours, several weeks and even several months. Most chronic urticaria will gradually disappear over time and do not leave any scar. If your hives always recur over time or persist for more than 2 months, you’d better see your allergist to get a thorough physical exam. Physical urticaria: This condition is caused by direct physical stimulation of the skin. Body urticaria usually occurs where the body skin is easily stimulated. Common factors that can easily cause body urticaria include sweating, exercise, pressure, cold, heat and sun exposure. Dermatographism: This condition usually occurs after stroking or scratching the skin. It may appear along with other forms of hives. Angioedema: This is a condition of the swelling of tissue under the skin caused by some medications or allergic reactions. Angioedema is often mistaken for urticaria because they have similar symptoms. However, you can identify it with certain symptoms such as swelling of the hands, feet, eyes or mouth, stomach cramps or chemosis and difficulty breathing. Knowing your triggers can help you prevent the occurrence of hives. Here are 15 best home remedies to treat hives rash fast. The first thing that you must do to alleviate the symptoms of hives is to determine the underlying cause. It could be specific foods, substances, heat or stress. If you suspect that your hives occur due to a particular food, avoid eating that and see rashes will subside. Perform some allergy test to reveal your triggers so you can avoid them as much as possible. Having a food diary can also help you determine foods that trigger your allergies. When addressing allergies, it is important to relax as stress can make the condition worse. Use lukewarm to treat cold hives. Use cold shower or cool compresses to get rid of Heat urticaria. Try to use gentle and mild soap to clean face. Try to avoid foods that are allergenic. These foods include milk, peanuts, pine nuts, eggs, wheat, oats, barley, shellfish, and fish. In addition, eat more vitamins, such as B12, vitamin C, and vitamin D.These vitamins can increase your immunity and reduce the chance of allergies. 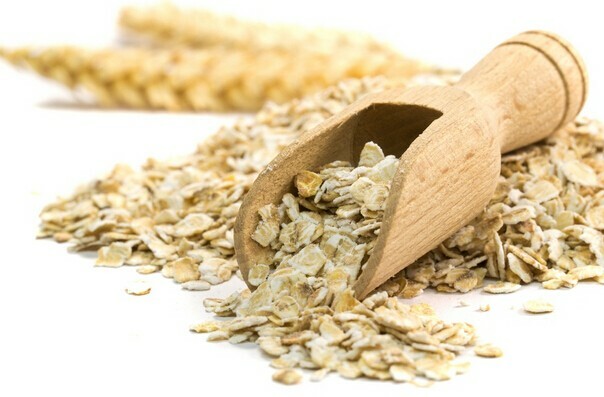 Oatmeal is a very useful way to treat hives on the skin. It contains anti-inflammatory, anti-irritating, and soothing properties that can help you get relief from redness and itching caused by hives. This method can accelerate the healing process of your skin. Oatmeal bath. Combine two cups of ground oatmeal with one cup of baking soda into a cheesecloth or stocking. Use a rubber band to tie it up. Place the oats in the running water as you fill up your bath. Soak your body in this water for at least minutes. Make sure that the water is warm, not too hot or too cold as extreme temperatures can aggravate the condition. Oatmeal paste. Another option is to make a paste by mixing two tablespoons of cornstarch, two cups of oatmeal, and enough water. Apply this paste to the affected area and let it sit for 20 minutes before rinsing off with lukewarm water. Follow any of these treatments once daily. Stress is one of the possible causes of hives. Whether you experience short term or long term stress, it can affect the body’s immune system. Your body responds by releasing histamine to combat your problem, which is stress. The protein histamine does not reduce stress levels, and it can trigger hives, causing red rashes all over the body. When you have an allergic reaction caused by stress, it is also your body’s way of telling you that it is time to unwind and clear your mind. Try deep breathing exercises. This exercise can help you relax and get rid of stress hives effectively. You can lie down or sit in a chair. First, put your hand on the lower abdomen and take a deep breath. You can feel the belly bulge slowly, and then slowly exhale the air. Each time you feel stressed, do this exercise for about 5-10 minutes. In addition, there are some other simple ways to reduce stress, such as acupuncture, yoga, tai chi, massage, and calming music. One of the best solutions to treat hives is baking soda. It contains anti-inflammatory properties that can soothe the skin and relieve inflammation caused by hives. It has been used for centuries as a cleanser and soother. Bath. To use this treatment, fill your bathtub with warm water and add one-half cup of baking soda. Mix it well and immerse your body in the solution for 20 minutes. Paste. Alternatively, you can mix two tablespoons of baking soda with enough water to create a thick paste. Apply this to the affected areas for 10 minutes before washing off with lukewarm water. Note: Follow any of these treatments once daily. 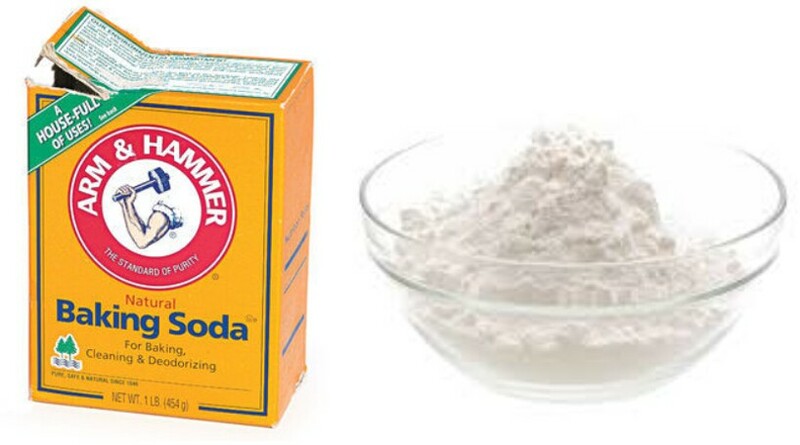 If you have sensitive skin, do not try this method because baking soda is irritating. Many experts recommend cold compress as one of the best hives treatments. The cold temperature aids in shrinking blood vessels and prevent the release of histamine. This method will alleviate the inflammation, swelling and itching sensation. This is the best way to treat heat hives. Cool shower or bath. Take a cold shower or bath to soothe inflamed skin caused by hives. Cold compress. Another option is to wrap some ice cubes in a clean cloth or grab a bag of frozen vegetables and place it over the affected areas several times a day. Note: Do not put ice directly on your skin, otherwise it will hurt the around the skin. Aloe vera is well-known for its healing and soothing properties, making it one of the natural solutions for hives relief. Before using this treatment, consider doing a skin patch test by applying a small amount of aloe vera gel. If you do not experience skin irritation within a day, the product should be safe to use on your skin. Topical application. Cut a fresh leaf of aloe vera gel and scoop out its gel. Apply it directly to the affected areas and let it sit for 15 minutes. Repeat the application several times a day to accelerate the healing process of your skin. Aloe vera juice. 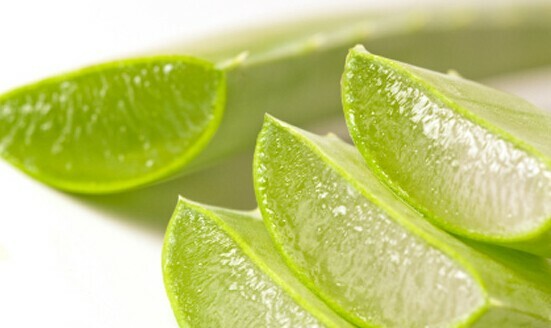 Another option is to drink two tablespoons of aloe vera juice once a day to enhance the body’s immune system. Note: Children and pregnant or nursing women should not try this method. Witch hazel contains tannins that can help in relieving irritation and inflammation caused by hives and other skin conditions. It also holds powerful antioxidant and astringent properties that can help you get rid of hives. Add five to ten grams of witch hazel bark to one cup of lukewarm water. Mash it up and transfer the mixture to the pot. Allow the mixture to cool down before applying to your skin. Follow this treatment a few times a day for 20 minutes. Mint provides a cooling effect, making it one of the popular remedies to get rid of hives and other skin problems. This herb also contains antioxidant and anti-inflammatory properties that can alleviate burning and itching sensations quickly. Mint wash. To use this method, steep two teaspoons of fresh mint leaves in a cup of boiled water for about five minutes. Strain and store the liquid in the fridge. Use this mint water to rinse the affected areas. Repeat the application several times daily. Mint drink. Another option is to boil one teaspoon of fresh mint leaves. Add two teaspoons of sugar and let it boil for five minutes. Strain and let it cool down for a bit. Consume this drink once or twice a day. Most people are not aware that the stinging nettle can actually be used to get rid of hives. It is likely that you do not even know that stinging nettle is used as one of the main ingredients of various medications and also topical creams. Prepare the parts of the stinging nettle that will be used to get rid of hives on the skin. Do remember that the fine hairs of the stinging nettle can aggravate the condition of your skin. Place the essence of the stinging nettle on the affected area of the skin. Another effective remedy for hives on the skin is apple cider vinegar. It contains antihistamine properties that can alleviate the swelling and inflammation of the skin caused by hives. 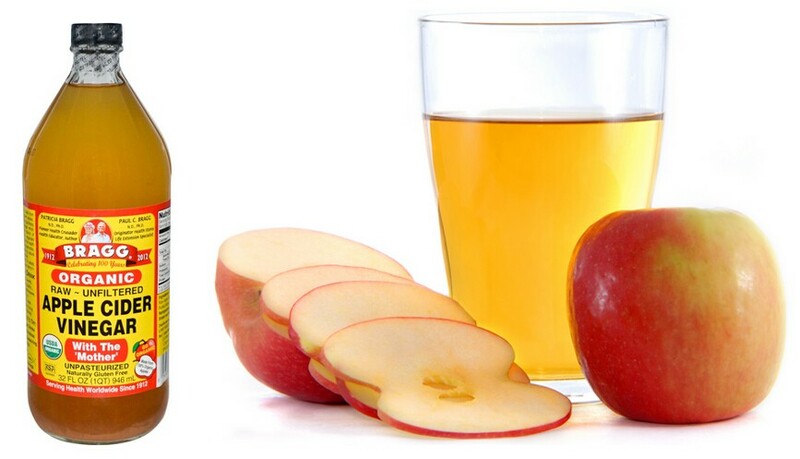 Apple cider vinegar can also help in regulating the response of your immune system. Apple cider vinegar bath. A relaxing way to use ACV is by adding two cups of it in a bathtub filled with warm water. Soak your body in the solution for 15 minutes daily. Drink apple cider vinegar. Another option is to mix two teaspoons of ACV in a glass of warm water. Add a few drops of fresh lemon juice. Drink this twice or thrice a day. Wash with ACV. You can also dilute apple cider vinegar with equal amounts of water. Wash the affected areas with the solution three times a day. There are a lot of people who are not aware how vitamins C can help get rid of hives. Aside from the fact that this vitamin is very good for the skin and is known to give a lot of good effects, Vitamin C is also known to reduce the possible effects of histamine and can help relieve the discomfort that you are feeling when you have the condition. Mix in Vitamin C and Zinc together. Apply the mixture topically on the skin. Wait for the mixture to become absorbed by the skin. This can be done about twice a day. Follow any of these treatments to alleviate the symptoms of hives. 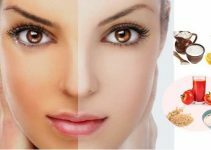 It is possible that you are more concerned about the different things that you can apply to your skin or what you can drink in order to feel better. It is likely that you failed to realize that taking a cool bath can actually help a lot. The cool water can actually shrink the blood vessels of the skin and will help give relief to the discomfort that you are feeling. Prepare to take a cool bath. If you would like to soak, soak with cool water and add some ground oatmeal for better effect. Take cool baths at least once a day. Most people are not that familiar with the Red Alder Bark but it is known to be very effective in getting rid of hives. You have two options on how you can take it. You may choose to brew it as tea and consume it or you may grind it and place it directly on the skin. If you choose to brew it, here are the things that you can do. Get clean Red Alder Bark. Brew it for about 10 minutes. Drink the brewed Red Alder Bark. You can take this as often as you like every day. Green tea is already well known to have a lot of good benefits. Since its benefits are well known, it is not surprising anymore that a lot of people consume it every single day. The main reason why green tea is good for hives is that of catechins that can make the body better overall. Choose whether you would like fresh or dried green tea. Brew the tea for about 10 minutes. Place a small amount of honey to taste. Consume the green tea about 2 – 3 times a day. One of the main problems that you might encounter when you have hives is the inflammation. Taking in Licorice Root tea can help get rid of the inflammation brought by hives. Do remember that this tea is not recommended to be consumed if you are also taking in medications for diabetes because there may be some components that will not mix well with the Licorice Root tea. Brew the Licorice Root tea for about 15 minutes. Place some honey to make the taste get better. If natural remedies are not enough to help your skin condition, you can use over-the-counter treatments such as steroids, antileukotrienes, and cyclosporine to relieve itching. These options also target the body’s histamine response and inhibit the appearance of hives. Benadryl (Diphenhydramine) – This oral antihistamine alleviates welts, itching, and other symptoms by working from the inside. Read the instructions carefully on the package and follow the exact dosages. Calamine lotion – Calamine can relieve itching and burning sensations by cooling the affected areas. 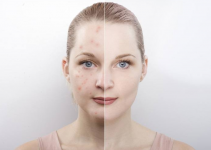 You can apply products containing calamine directly to your skin. Make sure that you shake the container before application. Cetirizine (Zyrtec), Fexofenadine (Allegra), and Loratadine (Claritin) – These antihistamines give extended relief from the symptoms of hives. Talk with the pharmacist or doctor for proper dosages. Note that steroids medicines have some common side effects such as blurred vision, cataracts, glaucoma, acne, high blood pressure, easy bruising, difficulty sleeping, muscle weakness, stomach irritation, nervousness, diabetes, osteoporosis etc. These natural remedies and over-the-counter treatments will help you alleviate the intensity of hives. During your treatment, reduce stress levels and wear loose clothing to prevent further skin irritation. If symptoms remain for more a week or you develop other symptoms like difficulty breathing, see a doctor immediately. Thanks for such a great post! 100 % natural therapy is really the main and permanent solution for Hives. I’ve suffered with hives for years until discovered the apple cider vinegar. A very effective treatment. This home remedy literally saved my life and cured my hives. Mix one part apple cider vinegar with two parts water to create a liquid mixture. Use apple cider vinegar and cornstarch to create a paste. Apply the liquid mixture or paste to your hives. I am so grateful for your remedies. it helped me too! I never had a history of allergies. I started having it just recently when I eat poultry products or seafoods. Thanks again. I get hives from a red meat allergy, broght on by a tick bite years ago. And they cover my entire body. I like the sound of the apple cider remedy but can’t really apply that to my entire body.. What else works fast? Seems most of the other remedies are regimental..
how did you get rid of your hives? I recently got covered all over with hives and dont know what is causing it…. please help I have had it for two months went to the doctors but nothing helps. I want a better solution for urticaria, that i am suffering from last 2 months. May it be due to garlic, onion, tomatoes, fernented foods, curds, buttetmilk….etc.What should i do? A lot of things can cause it. Thyroid tests are easy to conduct so get onto your Doctor and get it tested. I’ve been going through some stress lately, but I also suffer from numerous allergies. In the past couple of days, my throat and lymph nodes have swollen and I broke out into hives on various places on my body. (My thighs, one finger, my wrists, and lower back) I also have a sore throat and very bad congestion. I have been taking Benedryl and Mucinex, but the hives still seem to be spreading. Is there something specific that you recommend, or is this serious enough that I should go to the emergency room? This is serious.You’d better choose a good hospital for a comprehensive examination. I’ve been going through stress for the last 2 months (Mom-Cancer-Chemo) and since we found out she had to go in for surgery i broke out on my chest in hives (thing V-Neck area) no where else. I drink green tea regularly have tried ointments and creams and it isnt getting much better. I dont know how to free my mind from worry. Please help. Don’t worry.Take a break to call a friend and talk about your problems. Good relationships with friends and loved ones are important to any healthy lifestyle. you may also try crushed garlic ,it is also very helpfull,i normaly use it and it helps me alot.